Supercell was well designed and definitely worth trying. 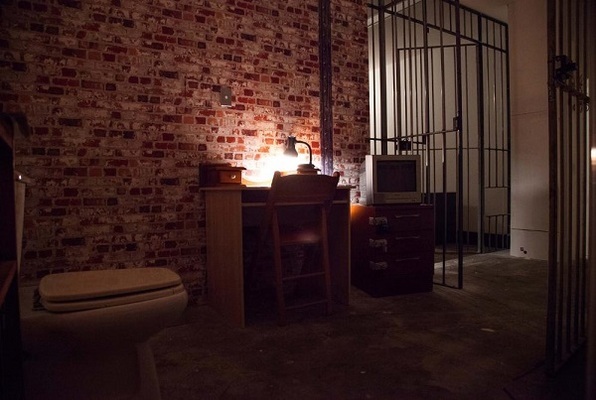 Tried two other escape rooms and this has been the best so far. You find yourselves in a cell, with stifling smoke. You have no idea how you got there. You are locked away from each other, and the situation is not looking good at all. One thing you know for sure: you have to get out! Work together as a team, brainstorm and try to get out. Would you save your own life only, or would you care for your friends as well? The choice is yours, but time is running out, and the guards are arriving soon. Reviews of escape game "Supercell 117"
A few friends and I did the Supercell 117 room after previously completing the Military Bunker room. The rooms are extremely well organised and very well thought out. It was a very pleasant and stimulating experience. I would definitely recommend to everyone and will definitely be coming back to do the Sens3s room! We have done the Military Bunker and Supercell 117. Both were fantastic rooms. We will definitely be coming back to the Senses room. Certainly need to think outside the box. I loved the setup of the rooms, the level of challenges and the friendly staff. Thank you Paniq Room for an awesome experience. Highly, highly recommended. Went there on sat, the four of us played supercell 117, it was great. We could have escape if the staff haven't put the wrong lock/key in the wrong spot. We got stuck cause we do not have the right key to open the right lock to get the right clue for the next step. Even the staff keep giving us clue for the next step, at the end they have to give us the spare key to open the lock and continue the game. It's quite fun, but would recommend not to tell players the remaining step after they finished the game.